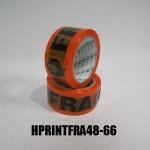 Choose from our range of stocked polypropylene printed tape. Bright colours and bold type print allows your message to be highly visible. 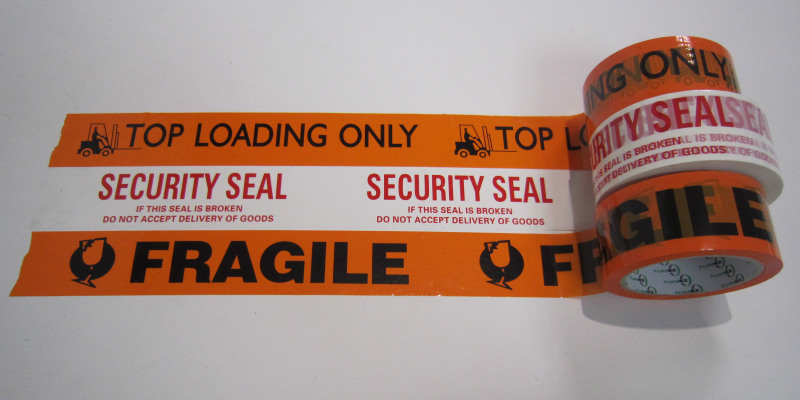 A cheaper alternative than labels. 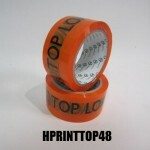 Easily used with a tape dispenser to cut message lengths to use primarily as a message. Custom printed tape is an option to get your name or message out on your cartons or parcels. 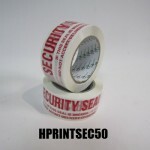 Please visit our custom printed tape page for more information. 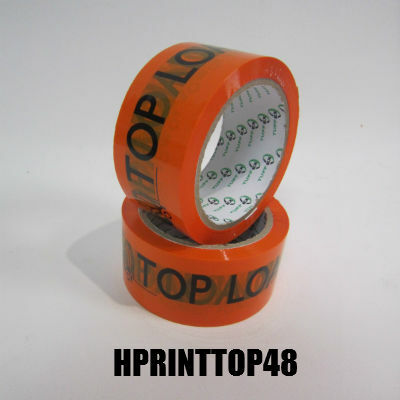 Choose from two types of tapes, PVC or PP (polypropylene). 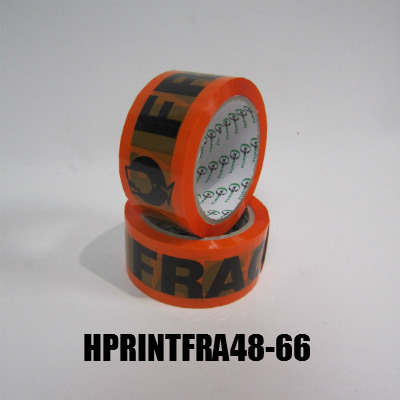 HPRINTFRA48-66 50 66 36 Orange "Fragile"
HPRINTTOP48 48 66 36 Orange "Top Load Only"
HPRINTHWC 48 66 36 Orange "Handle With Care"
HPRINTSEC50 50 100 36 White "Security Seal"
Polypropylene (PP), also known as polypropene, is a thermoplastic polymer used in a wide variety of applications including packaging and labelling. Poly(vinyl chloride), commonly abbreviated PVC, is the third-most widely produced plastic, after polyethylene and polypropylene.